Miami Beach is the place to be for waterfront dining. The lovely, temperate temperatures allow for outdoor dining almost year round. The only thing better than living in Miami Beach and being able to experience waterfront dining on a regular basis, is being able to take your yacht out for a spin, then docking at a restaurant for culinary merriment. 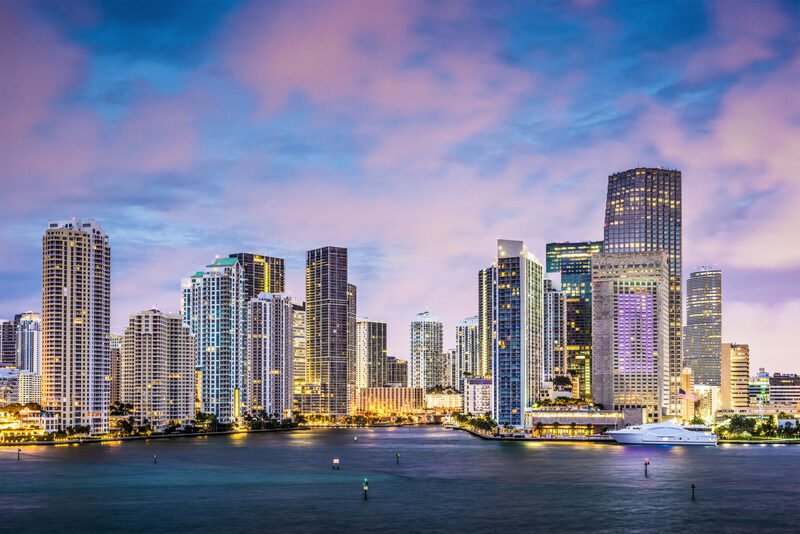 Take a look at the top 5 places in Miami Beach to dine with your yacht, and be ready to be enchanted with the Miami Beach boating lifestyle. Garcia’s Seafood Grille & Fish Market is located at 398 NW North River Drive, Miami, FL 33128 on the Miami River, and it offers gorgeous sunsets that cannot be beat. This place is known for its fresh catch of the day and its famous smoked fish dip. Although, Garcia’s Seafood Grille & Fish Market is located in the heart of Downtown Miami, it almost feel like you are at a delicious seafood shack somewhere in the Caribbean. The Lido Bayside Grill is a trendy hangout for locals that offers creative Mediterranean fare and a full bar, complete with specialty cocktails. Located at The Standard Spa and Hotel at 40 Island Avenue, Miami Beach, FL 33139 on Belle Isle, the easternmost island of the Venetian Islands, this spot is perfect as it is close to many Miami Beach waterfront homes. The Lido Bayside Grill, just like a great deal of Venetian Islands waterfront homes offers breathtaking views of the Intracoastal Waterway. Docking at this hot spot is on a first come, first serve basis, so don’t be surprised if you have to wait a little before you dock. Nothing is so quintessential Miami Beach than pulling up in your yacht at Zuma, one of Miami’s most luxurious restaurants. Located in the Epic Hotel at 270 Biscayne Boulevard Way, Miami, FL 33131, this posh restaurant is a nice boat ride away from Miami Beach. This spacious riverfront restaurant offers a terrace that provides an unparalleled outdoor dining experience that adds to the swanky mystique of the place. Zuma’s contemporary Japanese cuisine is comprehensive and alluring, and is served in the “izakaya” style, meaning that all dishes are shared at the table or can be enjoyed individually. Seaspice is a fantastic high-end riverfront restaurant located at 422 North West River Drive, Miami, FL, 33128, and is very close to Zuma. Its’ casual counterpart, Modern Garden is also a boat-friendly hotspot. Seaspice is known for its people-watching aspect, and is definitely the place to see and be seen. The restaurant offers a seasonal menu and serves amazing food and drinks such as Prime US Filet Mignon and A5 Wagyu Hot Stone fresh off the Hot Stones or something amazing delicious from the Raw Bar such as the Coconut Salmon Ceviche or Hokkaido Scallop Tartare. If you are interested in living the Miami Beach waterfront lifestyle and yachting to some of the best restaurants in Miami and Miami Beach, then contact us at pobiakproperties.com, and we will be happy to guide your throughout your entire home purchase search and beyond. Don’t miss out another day from experience amazing waterfront dining and awe-inspiring views from your very own backyard. This entry was posted in Miami Beach Lifestyle, Miami Beach Luxury Real Estate, Miami Beach Waterfront Condos, Miami Beach Waterfront Homes and tagged Miami Beach waterfront dining, Miami Beach Waterfront Homes, Miami Beach Yacht, Pobiak Properties on March 2, 2017 by Giancarlo Bobbio.